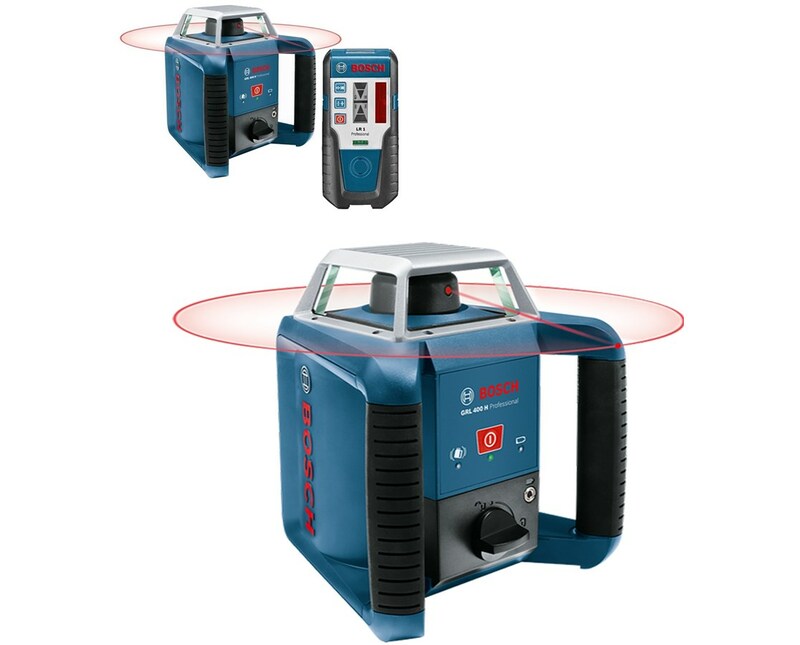 Built for the construction site, the Bosch GRL 400 H Series Horizontal Self-Leveling Rotary Laser offers a fast horizontal electronic self-leveling that is great for doing layout jobs including footing and foundations. 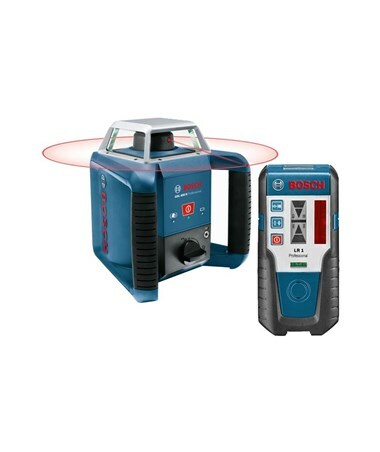 Having a range up to 1,300 feet with a laser receiver, it offers an accuracy of ±3/32 inches at 100 feet. 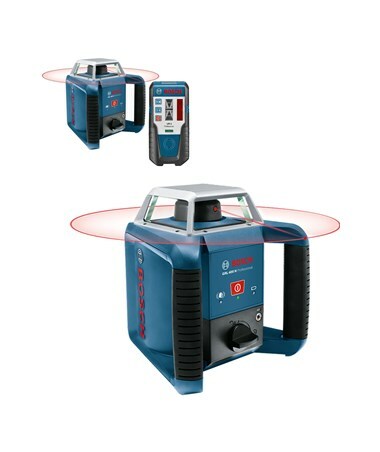 Perfect for most horizontal applications, this construction laser is self-leveling within ±5 degrees. 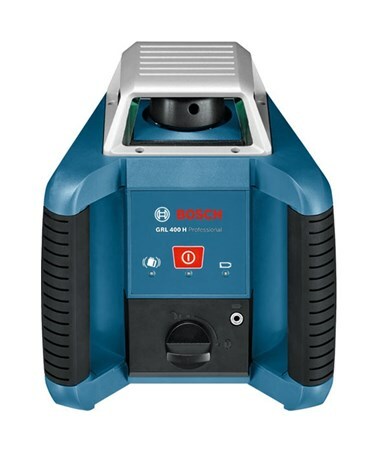 The Bosch GRL 400 H usually takes 15 seconds duration to level. 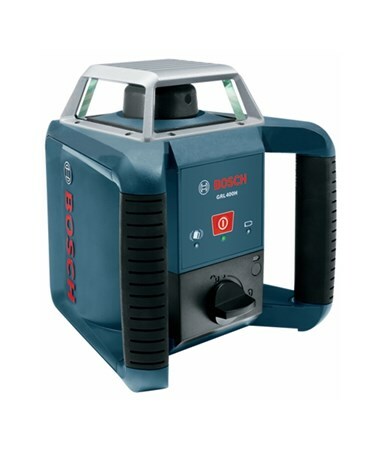 Also, it has a rotational speed of 600 rotations per minute. 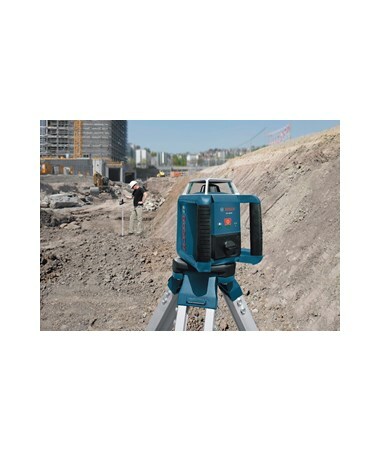 It features a quick setup and a simple single-button operation. 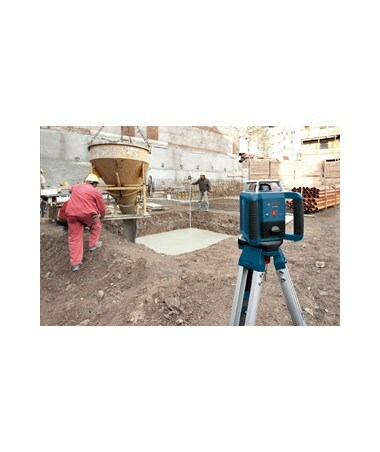 Plus, the shock-warning function keeps the measuring laser from leveling in at changed heights which prevents errors. 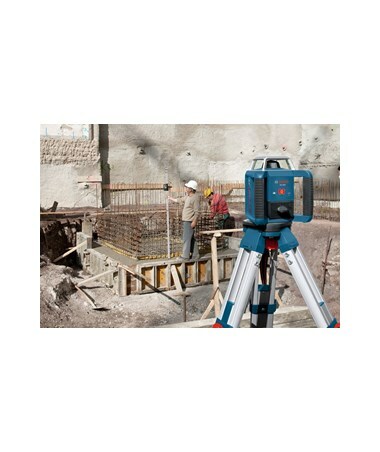 With an IP65 environmental rating, the GRL 400 H is dustproof and water resistant. It is made with a protected glass-enclosed cage for a maximum weather and environmental protection. For a portable leveling experience, it includes two large, easy-to-grip carrying handles. 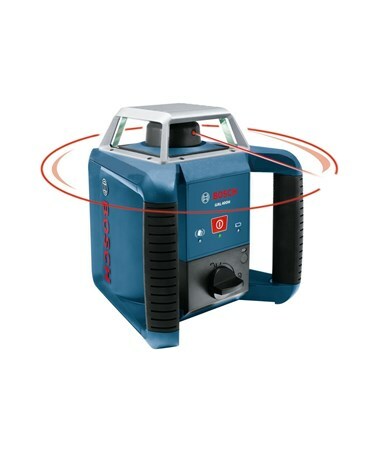 This Bosch rotary laser runs up to 30 hours using NiMH batteries and up to 50 hours with alkaline batteries. As an additional feature, it comes with a 5/8-11 tripod thread for an easy tripod attachment. 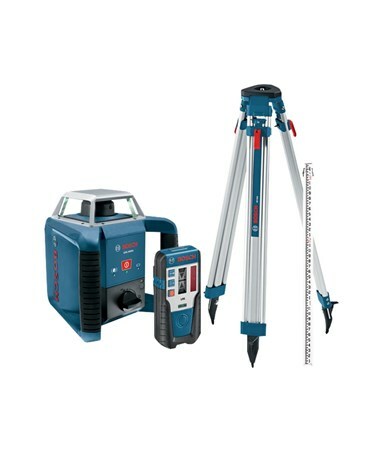 The Bosch GRL 400 H Series Horizontal Self-Leveling Rotary Laser offers two packages with a tripod and grade rod option. Both are supported by one-year manufacturer's warranty. Please choose from the drop-down menu above.